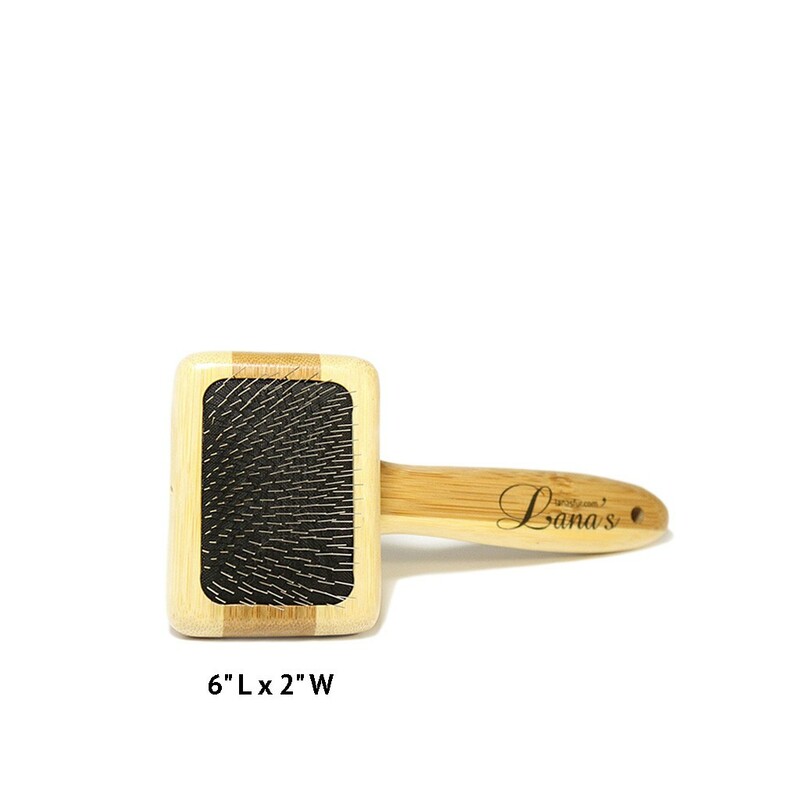 The Small (6" L x 2" W) size brush is optimal for use on smaller fur items such as: hats, scarves, purses, gloves, throws, wraps. 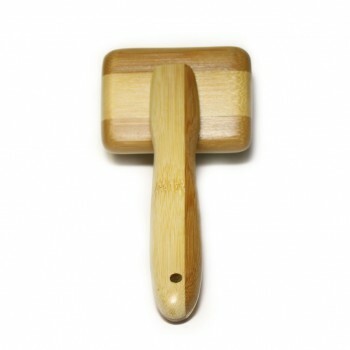 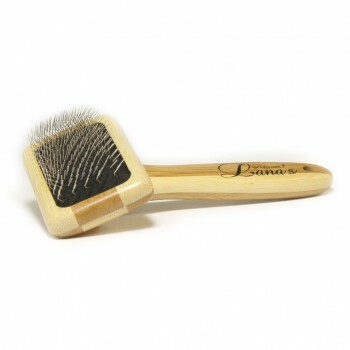 It is also an ideal brush for taking care of fur teddy bears . 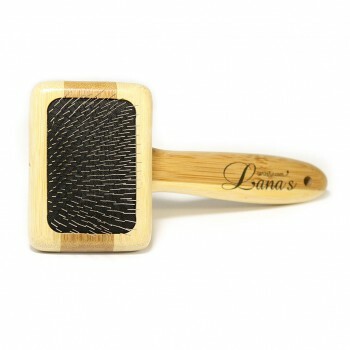 Looks Good, Works Well. 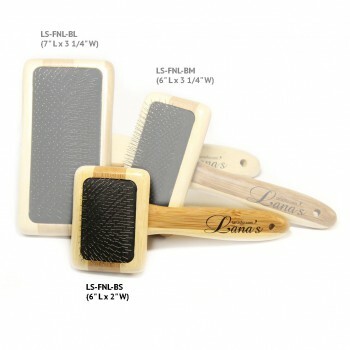 Specially Designed for Proper Care of Fur Garments. 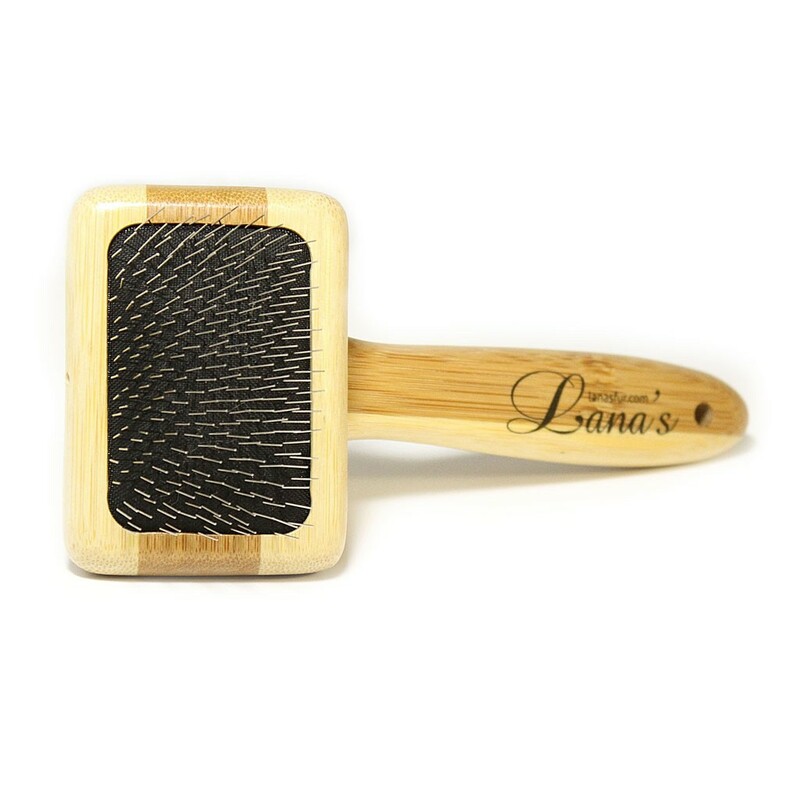 The Lana’s Fur Brush features super fine and soft stainless steel pins and natural bamboo wood handle and body for gentle care of your precious fur garments. 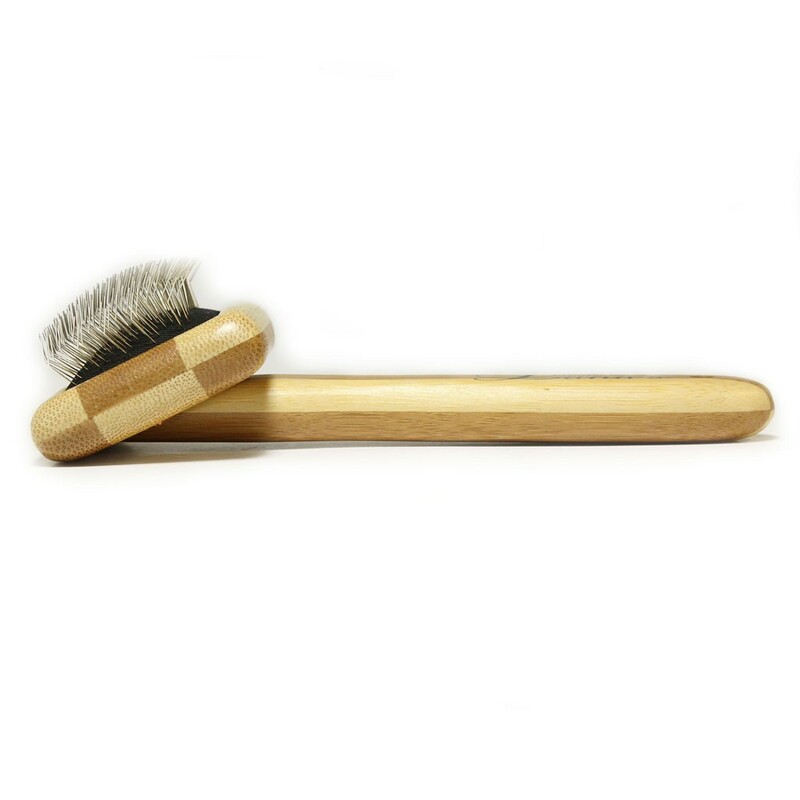 Natural bamboo body and handle material not only gives nice look and feel, but also minimizes accumulation of static electricity in fur hairs when brushing, and helps support healthy sustainable environment. Take or hang your fur garment and carefully brush the fur throughout making accurate strokes in the direction of fur hairs. 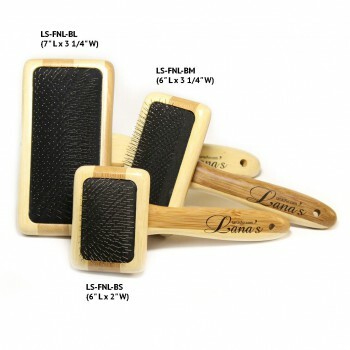 Package Dimensions: 7" x 4" x 2"
Due to the nature of Persian lamb, to prevent fur damage from brushing, use fur pad instead of brush when cleaning Persian lamb.